In addition to being highly trained, experienced, and talented in their respective disciplines—our instructors are the embodiment of our mission. Each and every one is truly passionate about inspiring, empowering, and energizing our community members to achieve their health, fitness, and wellness goals. We couldn’t be more excited for you to meet them! Has taught private and group Pilates for 8 years in studios all across Chicago. To create a healing environment, increase self-awareness of mind-body-spirit, infuse classes with levity and humor while maintaining a high impact structure. A talented dancer and performer often seen biking around her Logan Square hood! Over 400 hours teaching Pilates Mat classes at LSQP and at Spire Wellness. To inspire all of my students to feel freedom in their own bodies through Pilates. And to leverage Pilates to help clients that have specific needs such as pre/postnatal women and those with post-surgery scar tissue. Creator of dance and movement - problem solving through improvisation. Dance teacher. Bartender at Band of Bohemia. In love with my little family - my boyfriend and two small dogs. 7 years teaching Pilates and movement classes in a variety of club, studio, and in-home environments in Chicago. To encourage students to explore their own mind-body connections while developing functional strength and ease of movement. Creating film, dance and music + enjoying adventures with my husband and friends. Over a decade of alignment-focused yoga and barre. Connecting breathwork to mindful movement, finding a balance of strength & flexibility, and lingering between effort & ease. Co-founder of Soham Gatherings and Goddess Yoga Retreats. Plant-based chef and baker for The Wild Pineapple and her new company, Dharma Delights. Loves to read, bike, drink tea, make smoothie bowls, and chill with her dog & two cats! 8 years of teaching all levels of vinyasa, restorative yoga, yoga for athletes, and youth yoga. Workshop design and facilitation in backbends, inversions, and yoga for runners. To continue finding the organic connection with my students, guiding them through their yoga journey and connecting them to their deeper self. Also, to finally write my book. Runner. Craft beer community connector. Avid doer of crossword puzzles. Travel enthusiast. 200 Hour Registered Yoga Training (RYT). Special workshops in Trauma Informed Yoga, Meditation & Yoga, Breathing. Student of yoga for over 25 years and made the transition to teacher in 2016. To make yoga, meditation, and breathwork accessible to everyone in a safe and inclusive environment. Combining a vast knowledge of human physiology, anatomy, and behavior to offer a yoga teaching style that empowers, uplifts, and supports students of all experience levels. 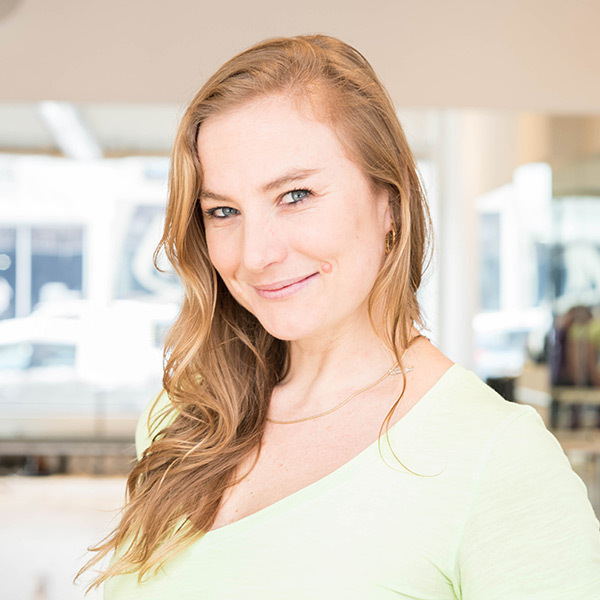 A Chicago-native, Wren is a full-time Registered Nurse, certified Reiki practitioner, and triathlete with special focus on mind-body-spirit connection, meditation, nutrition, and sound-healing. 12 years teaching all levels and populations in New York City and Chicago. To instill a sense of movement awareness and ease in the body and empower the individual to move with confidence. I love to teach people how to figure out their own physicality through building alignment, strength, flexibility and better execution of exercises that apply to their movement and fitness goals. Professional dancer for The Lyric Opera and Chicago Repertory Ballet and choreographer with project based company Jaxon Movement Arts. Nearly 2 decades of fitness training, with a shift to Pilates in 2017. To encourage a holistic approach to health and wellness, and stress the importance of proper body mechanics to improve alignment and mobility to gain strength and endurance. Mind over matter! Loves traveling and exploring. Current To Do List: ballet classes, trapeze school, and riding a bike in the city for the first time! 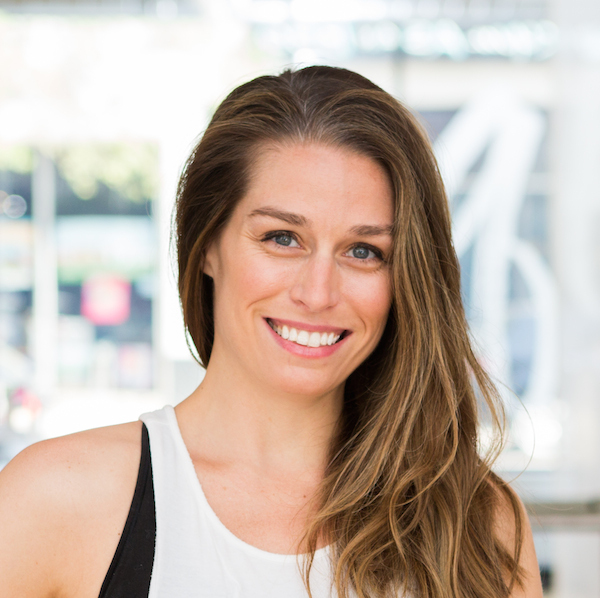 STOTT Pilates Comprehensive Certified Mat & Reformer, Licensed Physical Therapist Assistant (emphasis on orthopedics and Women's Health), and graduated with a bachelor's degree in Exercise Science from the University of St. Thomas. 8 combined years of teaching, studying, and personally participating in all areas of fitness and physical rehabilitation. To challenge and encourage each participant to gain a greater sense of body awareness during their movements. I love to use visual, verbal and tactile cues to enhance the control of each movement, while also testing the limits of your muscular endurance, flexibility and resilience. Loves to bike, hike, travel, cook and explore Chicago with husband and puppy. 200 RYT CorePower Yoga + Yoga Alliance Member. Trained in power, restorative, baby and me yoga + continuing education in prenatal and children’s yoga. Two years teaching + over a decade of self practice + Health Made Simple teaching free education about health and fitness to Chicago communities. For every student to leave class reinvigorated and renewed from her encouraging and challenging class; allowing students to focus on their needs through meditation, pranayama, asana and mindfulness. Can be found hanging with her hubby and rescue pup as they enjoy becoming first time parents. Fun fact, Katie used to be a professional clown and can breathe fire! Angie has been teaching dance fitness since 2009. She has taught in Northwest Indiana, Chicago, and in New York. To guide people to feel alive (and feel the groove) in their bodies! Notice I didn’t say “teach” people, I said “guide” people. I believe we are our own greatest teachers, and I love to help people better align with their inner compass! I believe everybody is different as EVERY BODY is different. I want to create a welcoming environment for people to explore a means of wellness that genuinely feels good to them. Angie is an actor, songwriter, singer, introvert, & goofball. She prefers honest communication to small-talk, & she loves music & cinema & her family. We are always looking to meet talented instructors! Send your resume to info@logansquarepilates.com.